There are no grains. You really need your eyes checked. I just showed 5D3 also can deliver very high resolution even with an inferior lens. Seriously you think D800 + 300mm lens can outresolve 5D3 + 500mm lens? You don't know what you are talking about. 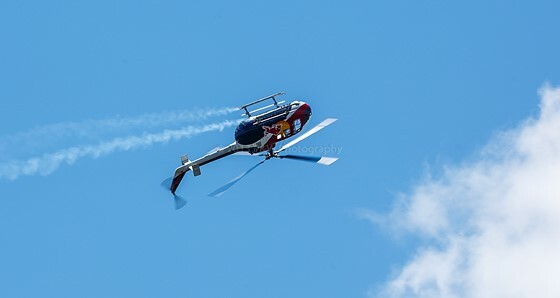 I actually have seen some D800 airshow photos with 300mm lens that IQ is not good after overcropping. If you don't believe, give a try and show photos to us. BTW, this helicopter pilot is the only one in US or in world that is certified to do acrobatic helicopter performance. Yes the chopper is in upside down flying.